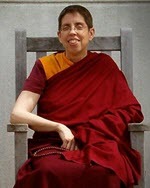 Lama Chödron has been a student of Lama Norlha Rinpoche since 1980. 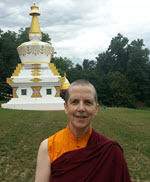 She served as resident instructor at KTC's affiliated center Kagyu Samten Chöling in New Hampshire from 2000-2007, and completed the traditional three-year retreat at Kagyu Thubten Chöling Monastery in 2011. Since then, she has served on the teaching staff at KTC Monastery, as an assistant in the KTC three-year retreat program, and as a visiting teacher at KTC's affiliated centers. 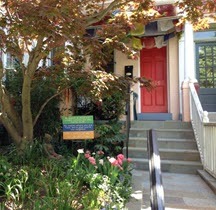 Currently she is based at the monastery and in Richmond, Virginia. Lama Depa is an ordained nun in the Kagyu lineage of Tibetan Buddhist tradition. She received her ordination from the great meditation master, Kalu Rinpoche in 1986. That same year she entered the traditional three-year retreat at Kagyu Thubten Chöling Monastery, in Wappingers Falls, N.Y. under the guidance of Lama Norlha Rinpoche. 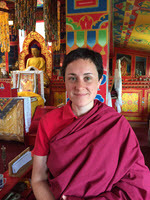 Lama Depa completed two three-year retreats at the monastery and is a member of the teaching staff there. She looks forward to being able to share the meditation methods for calming the mind and developing compassion, which she has been privileged to have received from her teachers. 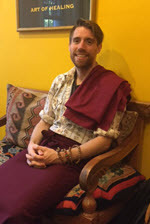 Lama Tsultar (David Miller) took the refuge vow in 1999 from his root teacher Lama Norlha Rinpoche. In 2007, he completed the traditional three-year retreat at Kagyu Thubten Chöling Monastery in New York, earning the title of Lama. His main teachers include Lama Norlha Rinpoche, His Holiness the 17th Gyalwang Karmapa Orgyen Trinley Dorje, Khenpo Tsultrim Gyamtso Rinpoche, and Lama Willa Miller. His teachings emphasize traditional Tibetan Buddhist practices applied to modern life and contemporary times. Specialties range from Pure View, developing compassion through the practice of Lojong, devotion and resting the mind in the natural state. Along with this is a strong emphasis on the integration and application of dharma practice in our lives through direct service to others. 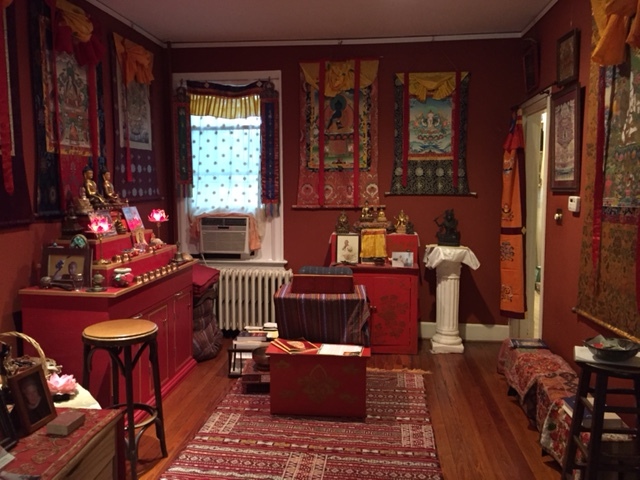 He completed a Bachelors degree in Nursing in 2015 and works as a nurse in Charlottesville, Va.
Lama Wangmo completed the traditional three-year retreat at KTC Monastery in 2007. She has served the role of retreat cook and caretaker for two additional three-year retreats. She currently teaches at KTC's affiliated center in NYC, as well as at KTC. Before entering retreat, she did direct care work with developmentally disabled children and adults.